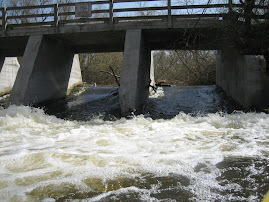 Come to the Huron River, west of Ann Arbor, for an opportunity to learn more about Ann Arbor's community of whitewater kayakers. Paddlers will be meeting tomorrow (Saturday, June 13) at 11:00 am at the Dehli Metropark to demonstrate the concept of "park-and-play" kayaking--an opportunity that could exist in downtown Ann Arbor if Argo Dam is removed. 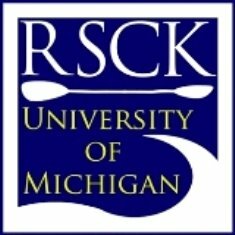 Community and student leaders of the Raw Strength & Courage Kayakers (a program of the U of M Rec Sports department) will be on site to answer questions about use of the river, access needs, paddlers' economic impact, gear, and more. 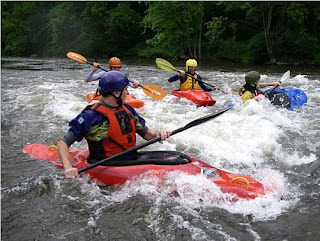 There will even be a tandem whitewater kayak available if visitors would like to try kayaking the Delhi Rapids with an experienced paddler at the helm (dress accordingly if you're interested)! This will be a fun, casual gathering you won't want to miss. On behalf of all kayakers who use the Huron River, thank you for your consideration of spending a Saturday with us.